Recently I was able to attend the inaugural launch of Studio 67 Mats hosted by the always gracious Steve and Jill McKenzie in Atlanta. Steve is acting as the interim creative director as this new company is kicking off its product line. Studio 67 is a new line of beautiful household mats branching out from Kleen-Tex, popular maker of industrial mats. I love using mats and rugs throughout our home, especially with all the hardwood and tile we have. 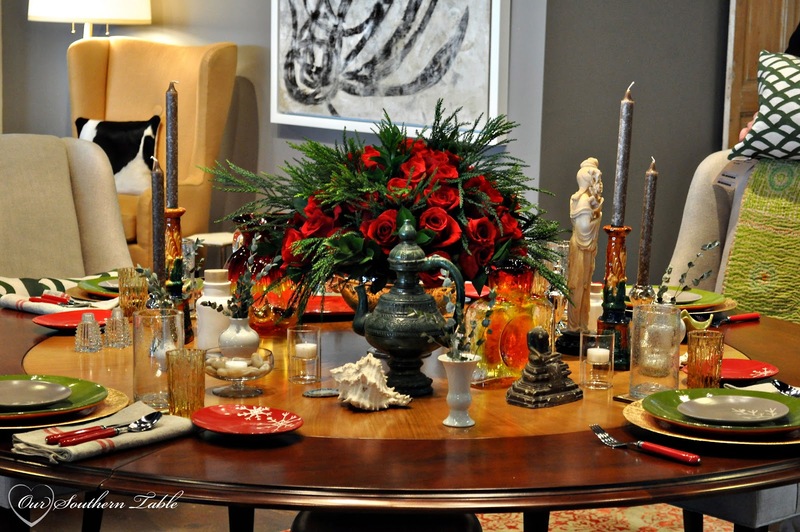 The versatility and pop of color they bring into a home really add to the welcome and comfort factor! Studio 67 Mats offer both color and pattern with the functionality of an industrial mat which means these mats really add to a space and are super easy to take care of. Who doesn’t appreciate both function and design in their home?! 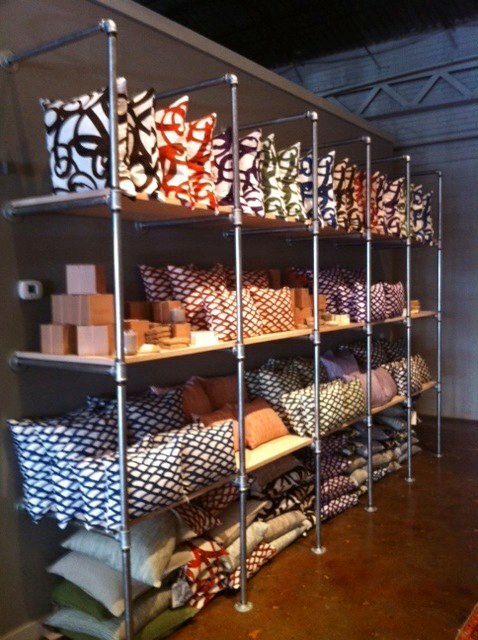 The launch of these new mats was held in a high-end townhouse in Atlanta, and they looked fabulous in the setting. So where can you use these fabulous mats? I love that these mats are skid resitant, especially since I’ve added one to my own tiled kitchen floor for decor. You know how rugs like to move around? When our Corgi comes running into the kitchen because she heard the refrigerator open, this mat doesn’t move. With my husband being a corporate safety director he was totally sold on the nonskid backing and the safety factor it adds to our home. And the best part? When I spill a drink or my son drops a slice of pizza on it, I can just throw it into the washer, then the dryer for easy clean-up. We chose the blue swirl patterned mat in the largest size available for our kitchen. Even with toile curtains on the windows, it actually fits in with my decor and adds a touch of personality. I’m planning to add a smaller rug under our little coffee station. Madeline is wanting to use several of these mats in the kitchen and bath of her apartment as she heads off to college this fall. 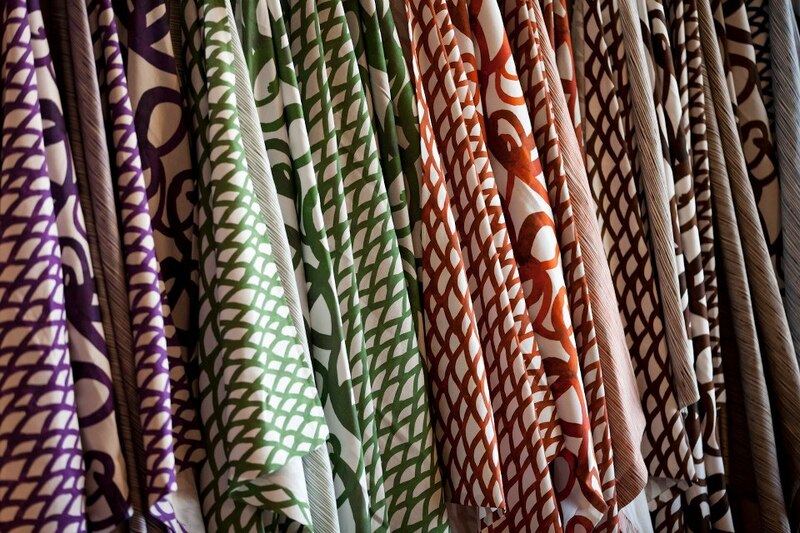 Where could you use a colorful and functional mat in your home? Click here to check out Studio 67 Mats and see what you think! And, be on the lookout… new colors and styles are coming this fall! Just before Christmas, I had the opportunity to visit with Steve and Jill McKenzie in their brand new (and absolutely fabulous) store while traveling home for Samantha’s wedding. 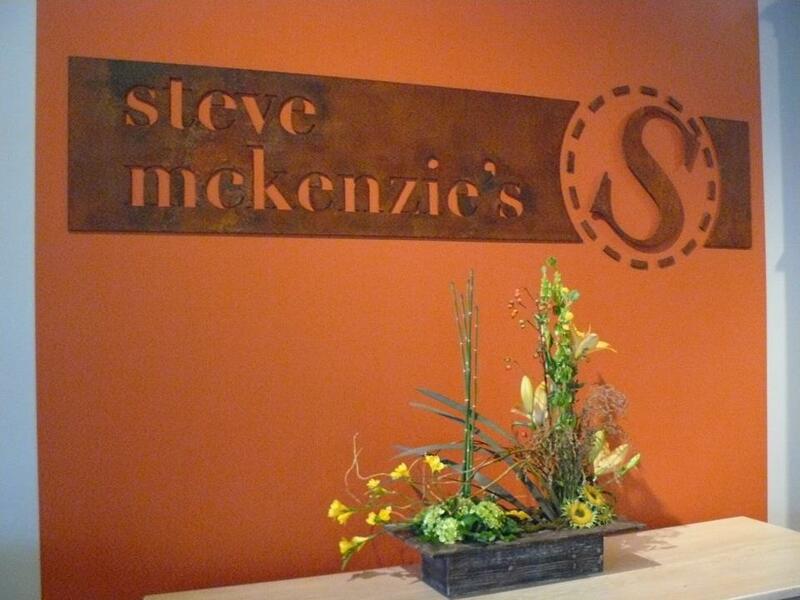 “Steve McKenzie’s, ” is a furniture and general lifestyle shop located in the growing westside district of Atlanta. Steve, a former CEO of Larson-Juhl framing company in Atlanta (you can read a little about some time I have enjoyed with Larson-Juhl here), and his sweet wife Jill opened their place back in October. 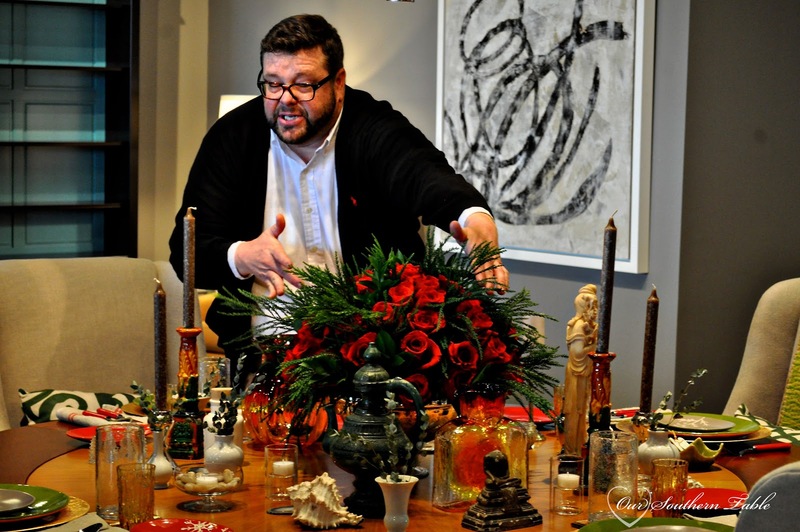 I first met Steve about three years ago at a blogger’s dinner and framing workshop hosted by Larson-Juhl in Atlanta. 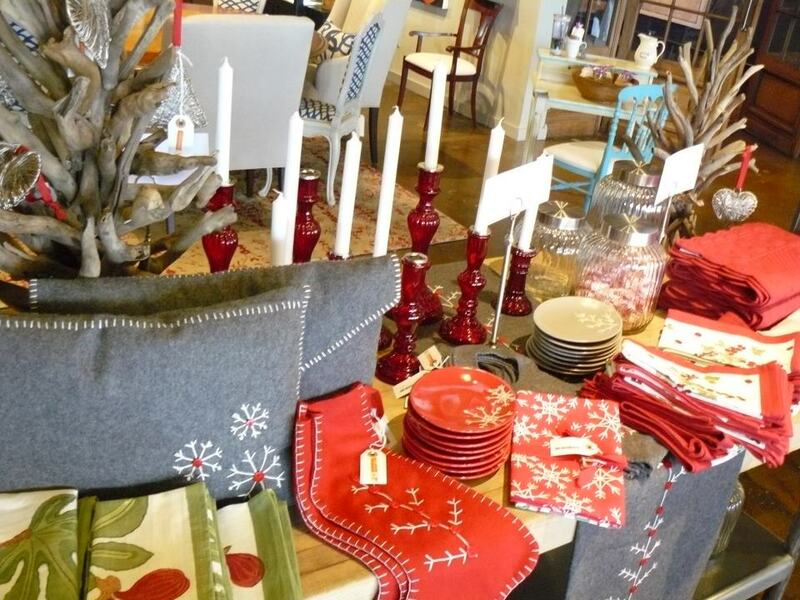 Steve and Jill’s fabulous store combines Southern living and hospitality for a fun shopping experience. Most all of their brands are local/regional from soaps, candles and leather goods to jewelry, pottery and furniture! Steve McKenzie’s also features some the beautiful artwork of Steve’s in the form of paintings and fabrics inspired by his artwork! This great little shop is also the Southeast representative for Grange Furniture, an absolutely stunning furniture line anchored in France with a history dating back to 1904. Boy do they ever have some beautiful pieces!! 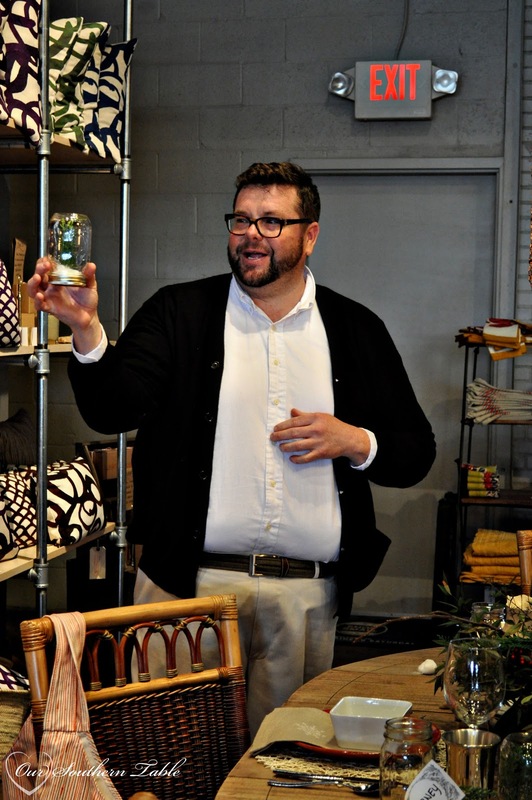 This fun shop is just the perfect place for everyone from interior designers to me! I could’ve stayed all day! 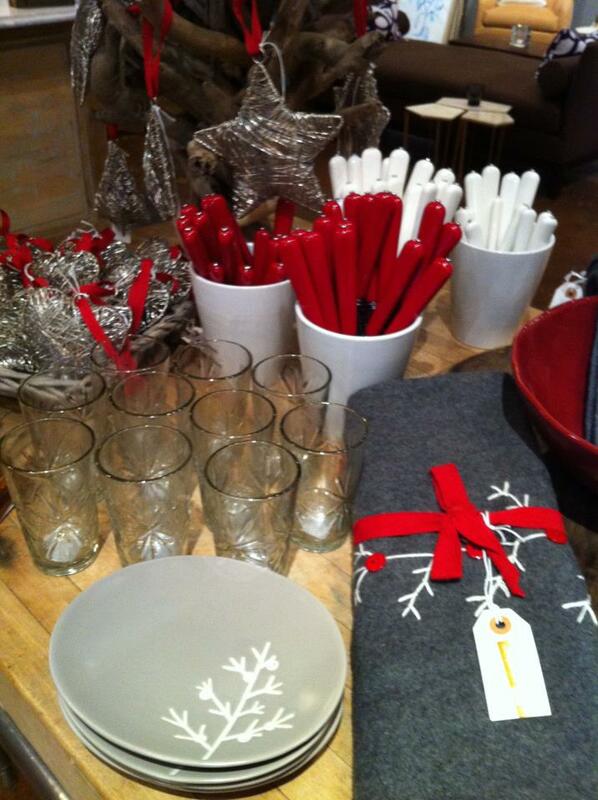 I loved the red silverware which I purchased for our own Christmas table setting! 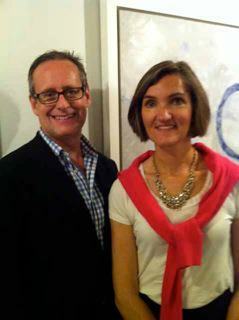 Steve and Jill are so welcoming and excited about their new shop, which makes shopping such a joy! I had seen and heard about the opening of Steve McKenzie’s through several friends on Facebook and was really hoping for the chance to check it all out. 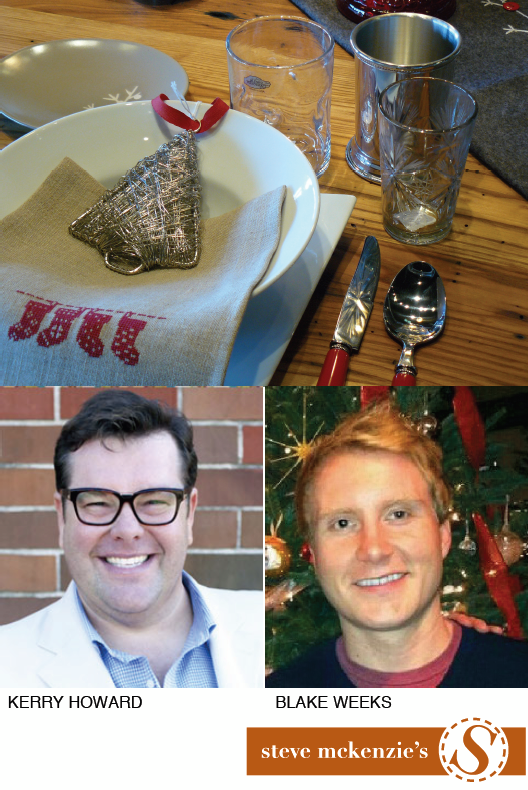 That opportunity came through a table setting demo with Kerry Howard (a former Top Design contestant and Atlanta-based Interior Designer) and Blake Weeks that just happened to be scheduled for the Saturday I was traveling through. Like I really needed another reason to shop!?! 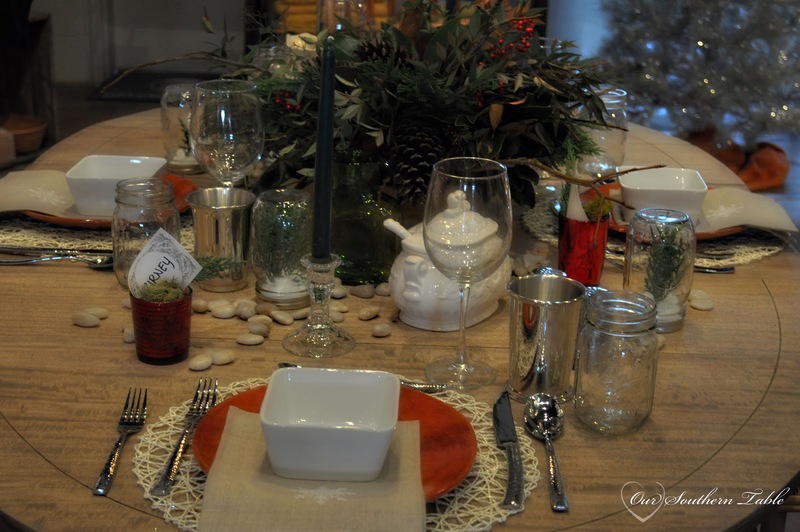 While these great settings on display were to inspire us for Christmas, I discovered that when you mix the everyday in with a few seasonal touches that these were perfect for all winter long! 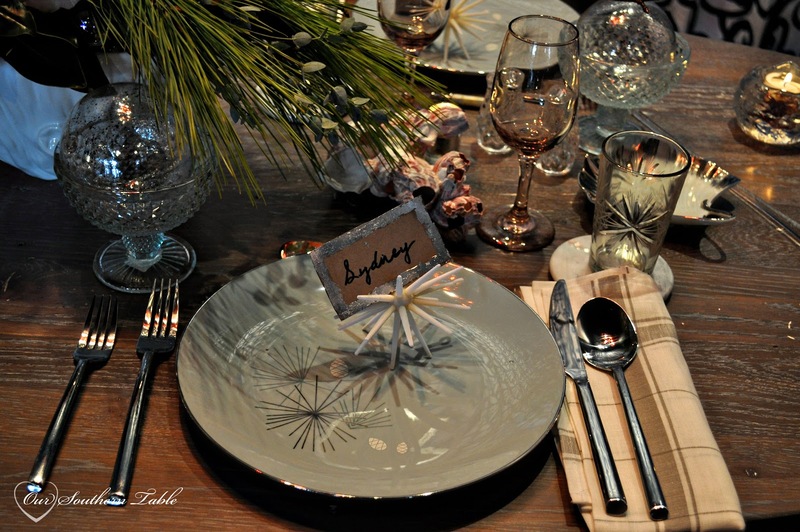 Here are just a few inspirational table settings and tips from Kerry Howard! *Mix time periods and textures. 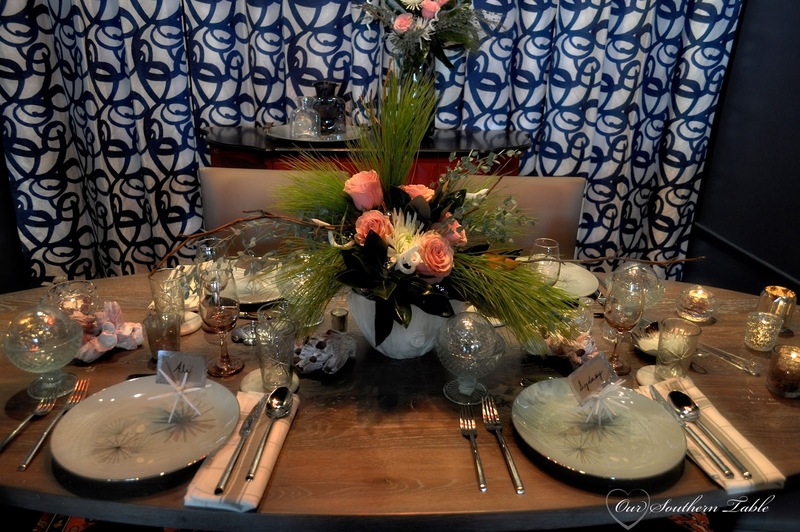 I absolutely LOVED this table setting that mixed pieces of everyday china from the 1950’s with modern elements from Crate and Barrel and pieces of coral. So much fun and very classy!If I could find plates like this, I would be one happy girl!! *Mix colors. 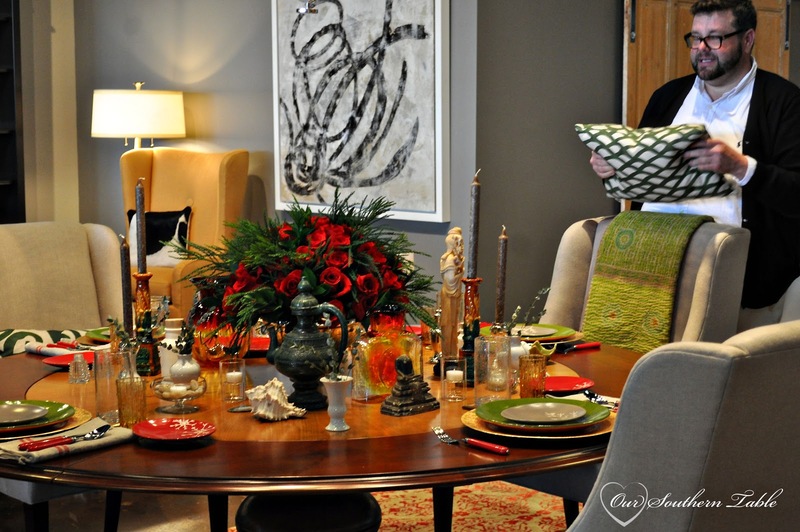 Be brave and step outside your comfort zone when decorating. It’s perfectly fine to break away from tradition! *Layer colors, accessories, styles, and dishes. 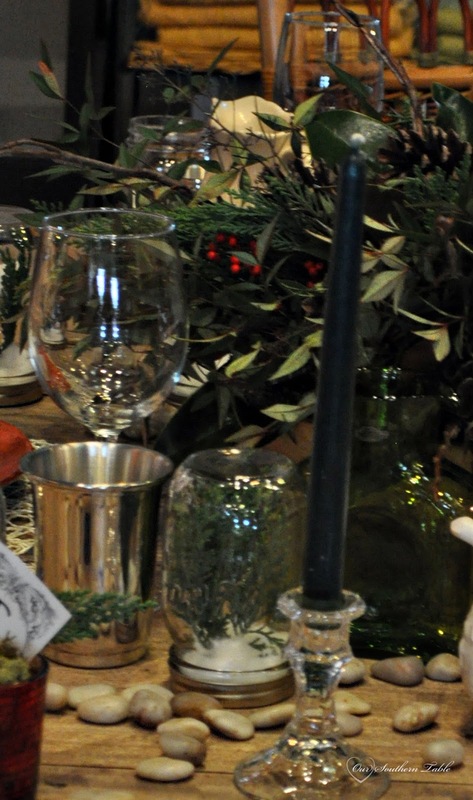 Mason jars, Mint Julep cups, and wine glasses? Who would’ve thought that mixing such odd pieces would be so pretty …. and super Southern! 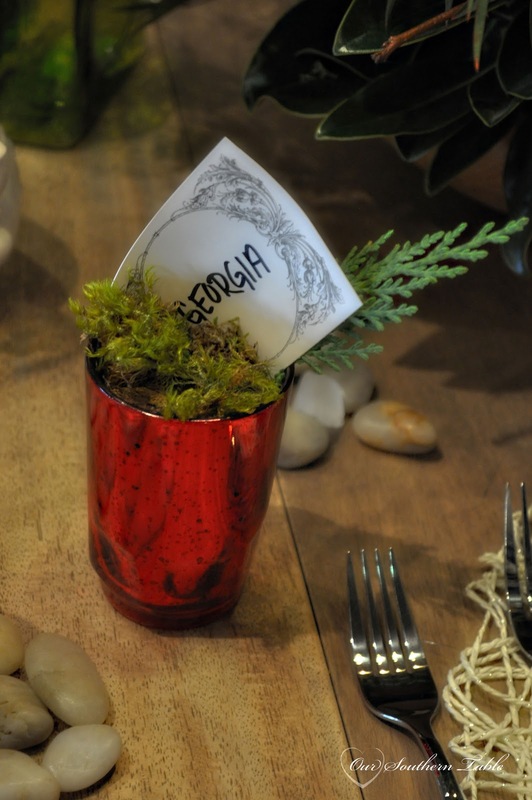 Isn’t this just the cutest idea for a place card … a votive cup filled with natural elements you can find in your own backyard! I love the mixture of the Asian figurine with shells, rock and assorted glassware. 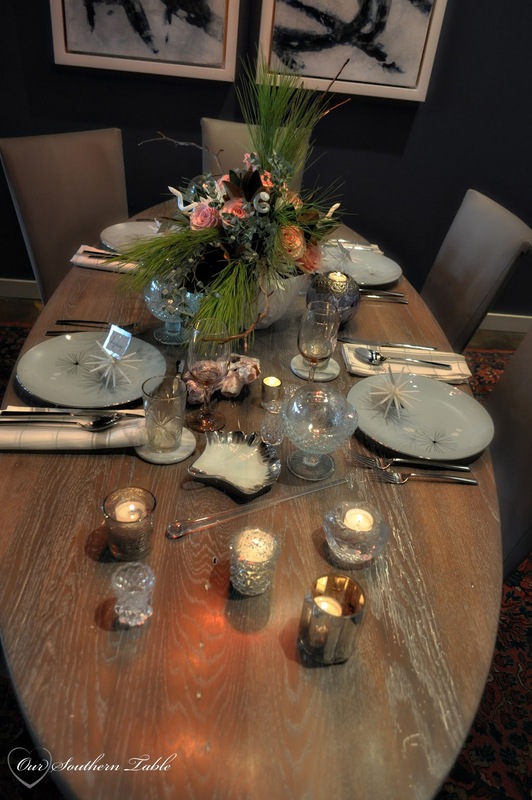 It just all pulled together to make a gorgeous table! Kerry demonstrating how to make decorations for the table using a mason jar, fresh evergreen and cotton. 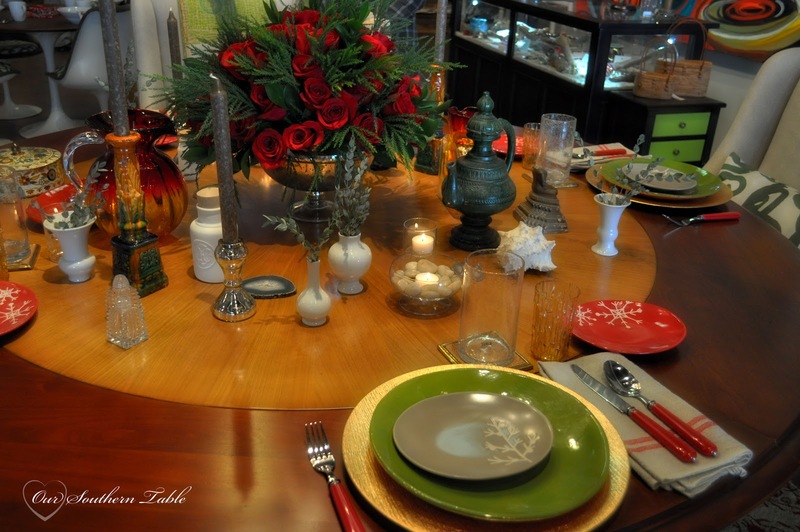 *Have the centerpiece mimic the shape of your table. The roses in this centerpiece are from Publix and the greenery is from the backyard; set in a round silver bowl it’s just too pretty! *Be creative with your vases. 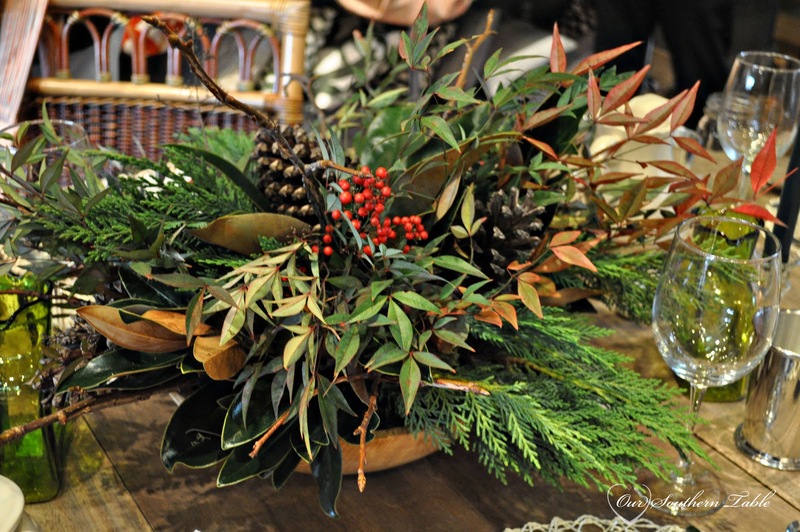 Use wooden bowls, pottery, vintage pieces, silver, etc… to create a great centerpiece. *And be sure to add candles. Candlelight, besides being beautiful is just flattering to any space! 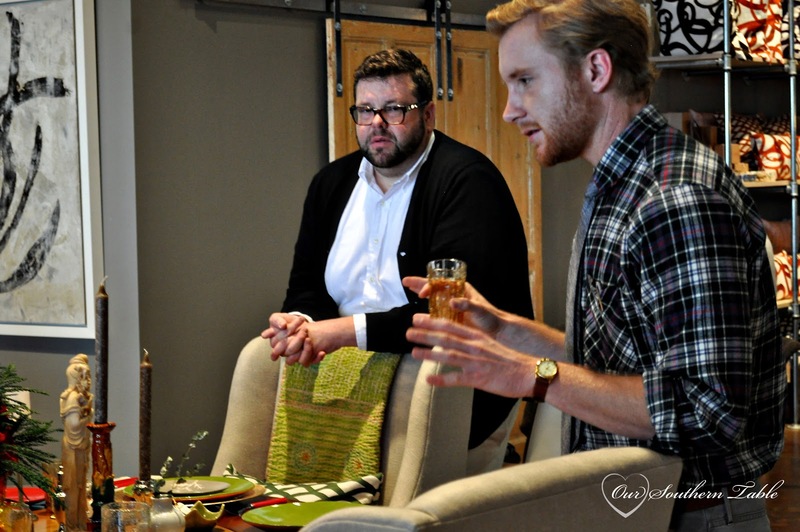 The ideas these two designers shared were so simple that anyone can pull off a beautiful table! I sure am looking forward to Valentines Day and seeing if I can pull of a fun table! If you are ever passing through Atlanta, be sure to stop by Steve McKenzie’s and check them out!